If you intend to paint this summer, you are interested in this article to avoid some of the most common mistakes in painting at home when choosing the palette. Too much color or too monotonous an environment? Not this time! 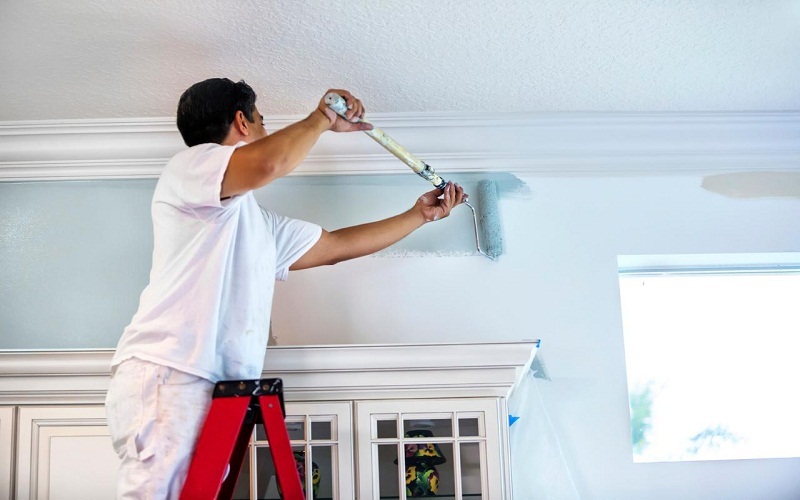 Summer is coming and many of us will take the opportunity to renovate our home by giving it a coat of paint. If you intend to paint this summer you are interested in this article to avoid the most common mistakes at home when choosing the palette. Too much color or too monotonous an environment? These are usually some of the usual problems when painting our home. To avoid this we will review some ideas that will help us when deciding on the colors to use in the renovation of our home. Take a chance to get out of the colors you’ve always used and you know they work. The white is usually the traditional color with which the ceilings are painted but it is not always the most successful. When it comes to rooms where the ceiling is the largest wall in the room, we should consider using other colors. It does not have to be a raised tone but a beige or a broken white that adds a little more warmth to space. If the ceilings are very high, the white can have the effect of narrowing the room. In that case, we will be interested in downloading them thanks to the use of a darker color or personality that creates contrast. The original and fun ceilings are fashionable and can help us give personality to a room painted in neutral tones. In contrast to the classic white ceilings, now the ceilings are full of color and charge all the prominence of the room. Do you like the idea? If you prefer that the ceiling does not stand out too much, there is a wide variety of light colors that are warmer than pure white that can provide luminosity without losing the warmth of the environment. 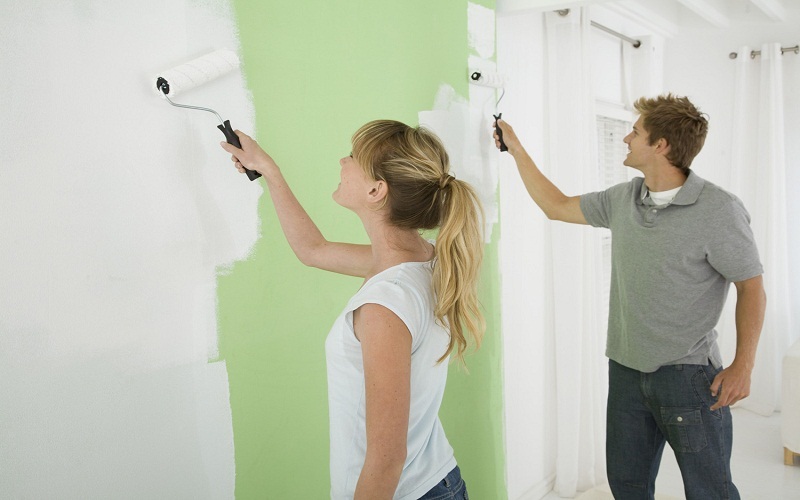 Bet on the warmth and do not make one of the most common mistakes when painting at home! Another mistake when painting at home occurs when we like a color, we tend to get excited and we go hand in hand with it. It is good that there are always some areas in the neutral color so that our eyes rest and there is a contrast effect. The abuse of a color can lead to saturation and visual fatigue. It is also important that the passage from one room to another is not a sudden change of color if there is no harmony between them. We must bear in mind that color can change our vision of space. The walls in intense tones or with very marked prints make the effect of approaching and excelling. Think first if it is the effect you are looking for that wall. A rule easy to use, and widely used in decoration, is the 60-30-10, which consists of choosing a dominant color (60%), a secondary color (30%) and a final color (10%) or ” accent “that we will use the complements or as small notes of color. The primary color will attract the eye and focus our attention, the secondary adds interest to break the monochrome and, finally, the final color stands out over the previous two and creates interest to achieve an environment with character and personality. Do not be afraid to use color! Another common mistake in painting at home is the abuse of color. If we bet on colors too bright and that is changing in each room and we will end up creating a pot-pot in which it will be impossible for us to feel relaxed and comfortable. Let’s not forget that colors also act on our emotions. An abuse of them can be detrimental to our rest. Therefore it is good to create a continuity throughout the house even when we use different colors. It should not seem that each room belongs to a different house, so there should always be common elements between them. Before risking you try with some application of which allow us to get an idea of how the colors will be once applied, do not risk unnecessarily! Sometimes we do not look at the time to choose the painting but the final finish can totally change the feeling that a room produces. Be careful with too bright finishes and do not make another mistake when painting at home. The idea is to first have a small sample of the painting and test it directly on the wall, in order to see the effect that causes us with the changes of light in the room. It is not the same in the morning as at night because the solar rays or the lamps will have different effects on the wall. If you doubt between several paintings, try them first on the wall to be sure that you will like the final result. When we like a color or it has given us good results, we tend to repeat it without taking into account other possibilities. It is one of the errors in painting at home that we usually all commit. It does not need to be a very high tone but it is always good to dare to expand our palette of colors with new shades. Start with a small area in which you know that you will be right when putting a new color and personality, for example on a single wall. 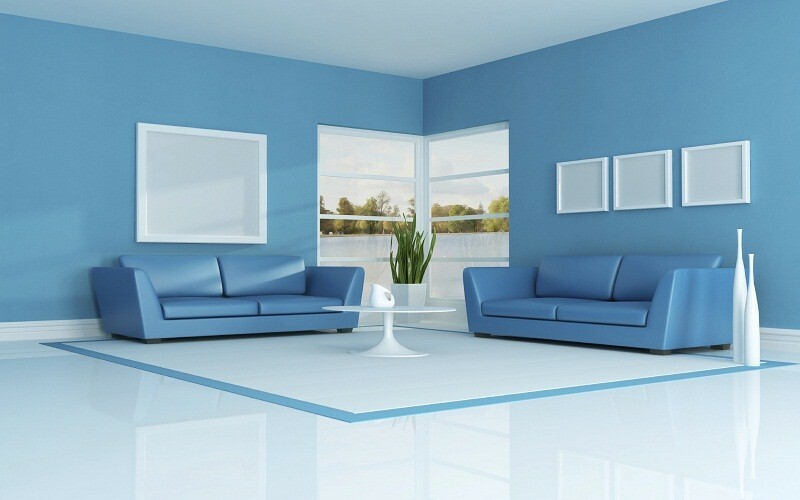 The effect of simply painting a wall in color will surprise you and can change the mood of a room. It is not necessary to follow the trends of the moment if they are not to your liking, but it is always good to know what colors they wear and see if any of them fits in your palette. 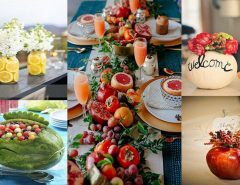 Just as we change our taste in other things, at home you can also give new colors a chance, maybe you’ll be surprised! If you are interested in knowing what are the colors of the moment, do not miss this article about the Rose Quartz and the Serenity Blue, two colors that are the trend and that can be a good bet for your home. When it comes to painting, there is not only one possibility. 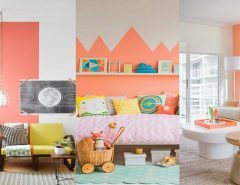 Consider new ideas on the walls as a chromatic gradient or a geometric wall, there are many possibilities to create original walls and on Pinterest, you will find many tutorials so that the result is perfect. Go ahead and give personality to your walls! You already know what they say, you have to renew or die … renew your home with an original wall that surprises everyone. Another idea that we have seen a lot lately is the walls with mountain designs, fun and original and very easy to paint! 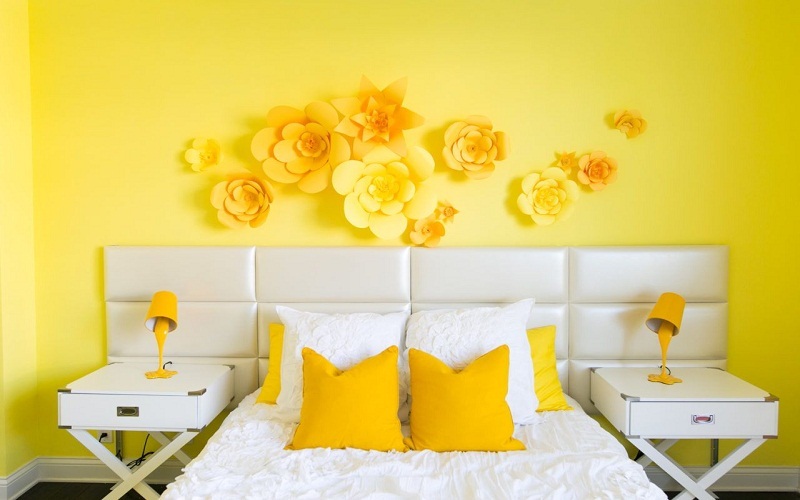 If you are lacking in ideas, do not miss this article on ways to decorate your walls and give them a very original touch, you will surely find the perfect idea for you! A room to risk and try new things are children’s rooms that can always be the field of experimentation for changes and new colors that you are thinking of introducing. Risk more on them! With these ideas, I hope to have helped you to consider the new palette for the renovation of your home and not fall into the most typical mistakes when painting at home. It is difficult to find the balance between taking risks and going for sure because, in addition, we each have our tastes and our phobias. The way to get it is to finally try and take a little more risk each time until you get the perfect environment for us. And you are more to risk or to go on sale with the neutral tones? I await your comments and ideas. Happy week.